The push is on again to make hockey a dynamic winter sport in the Kensington-Factreton-Maitland area and to discover the sport’s stars of tomorrow. 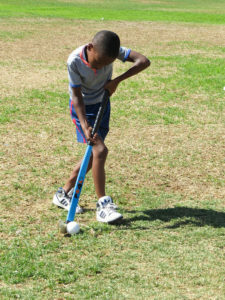 Under the guiding eye of former hockey players Shireen George and Charmaine Wildschut, and Charmaine’s daughter, Thora Wildschut who is a current provincial player, the children – aged between 5 and 15 years – were put through their paces and shown the basics of hockey and fine-tuning the skills of others. 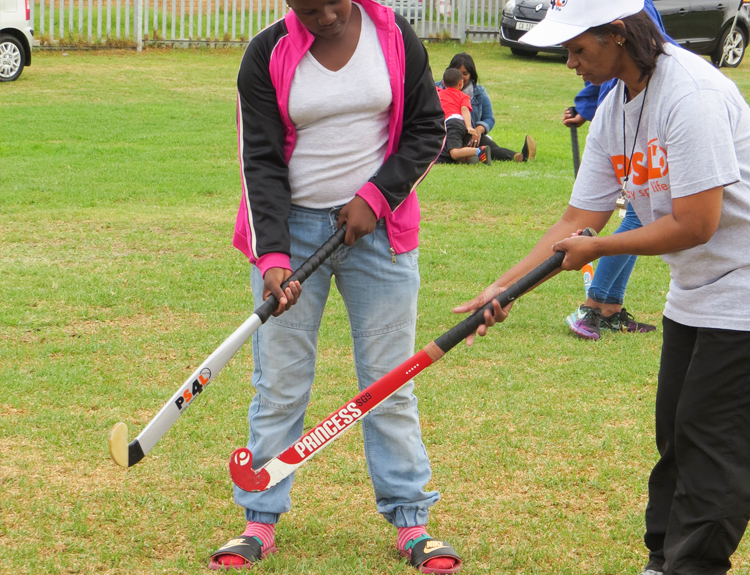 The much-needed initiative was started by Charmaine Wildschut, who had a long association with hockey in the Cape. Discussions with Shireen George who is with the Department of Cultural Affairs and Sport and the Western Province Hockey Union, took it a step further.  Play Sport4Life, the not-for-profit community organisation with a high profile in the area, came on board when local schools invited it to a meeting to kick the idea along. 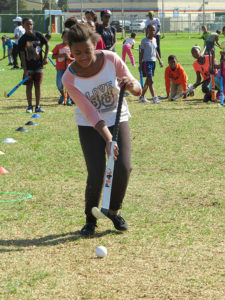 “We at Play Sport4Life thought it was a wonderful idea and threw all our resources into organising the holiday hockey program,” the head of Play Sport4Life, Miles October said. “We have 12 qualified coaches, all certified by the Western Province Hockey Union, available to give these kids ongoing guidance,” October said. 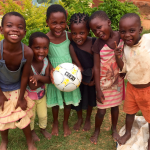 October said Play Sport4Life has already provided 400 brand new hockey sticks and associated equipment to schools in the area. There has already been promising signs for the future. 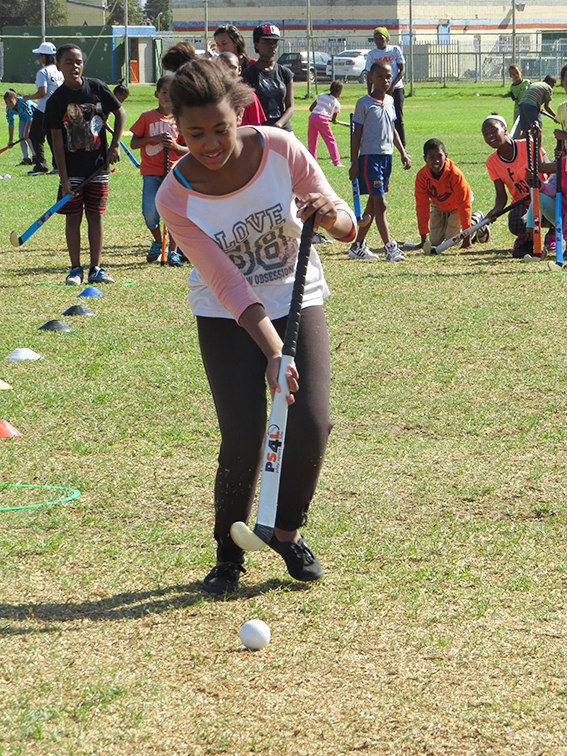 A makeshift KenFac team put together by a Play Sport4Life coach, played at the recent Youth Hockey Festival at Vygieskraal. They won all their matches. 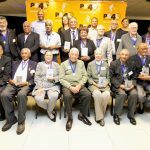 The programme culminated with an award ceremony. All participants were presented with a certificate, in recognition of their participation and commitment to the programme, as well as a goodie-bag and snacks.